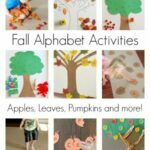 The other day I made a fall tree roll and cover alphabet game that we can play again and again during the fall season! 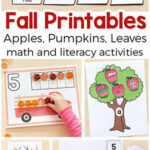 It is a great alphabet activity to play this time of year! 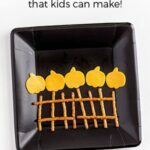 If you are familiar with my blog, you probably know that we love alphabet activities and roll and cover games. This activity is both! And we really enjoyed it! 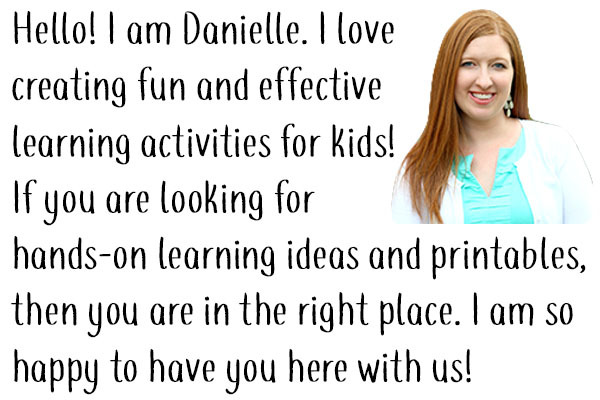 While playing this game, children will increase their letter awareness and practice letter identification. 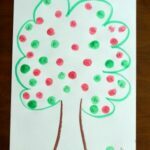 If you choose to allow your child to stick the stickers to the tree, they will also get lots of fine motor practice while peeling the backs off of the leaves. 1. 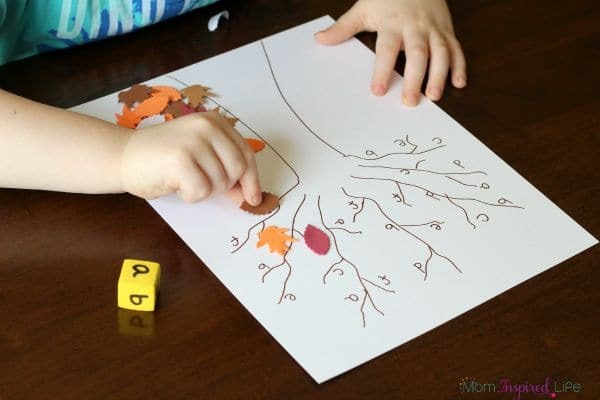 Draw a tree on the piece of paper with the brown marker. 2. 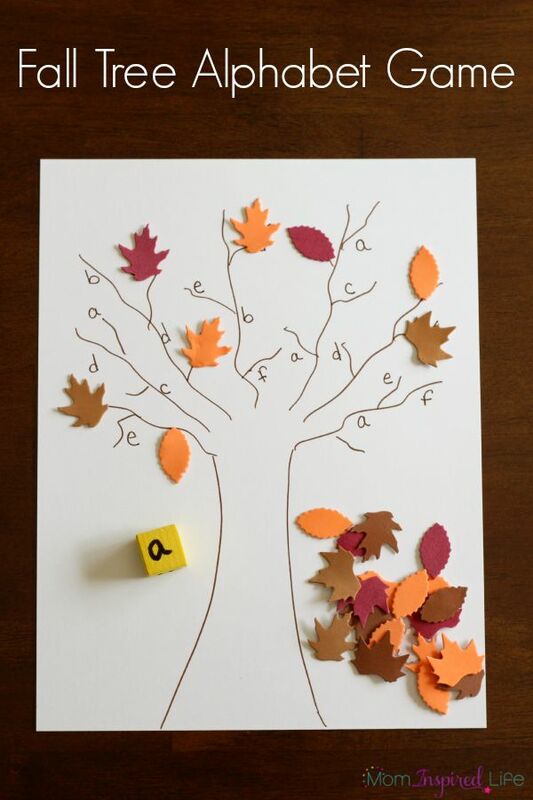 Choose 6 letters you would love to work on and write them around the branches of the tree. I wrote each letter about 4 times. 3. Write those letters on the foam cube. There should be one letter on each side of the cube. If you use a dice, just tape a small piece of paper to each side and write one letter on each piece of paper. 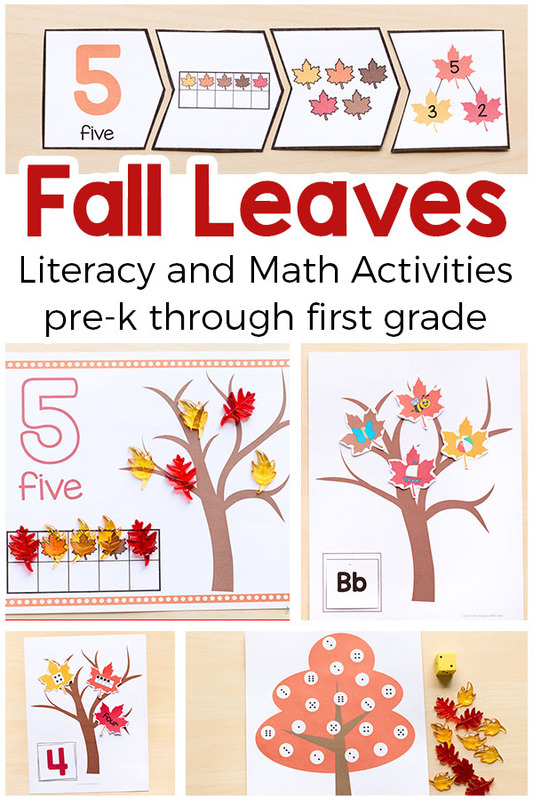 Set out the tree, the cube and a pile of leaf stickers. 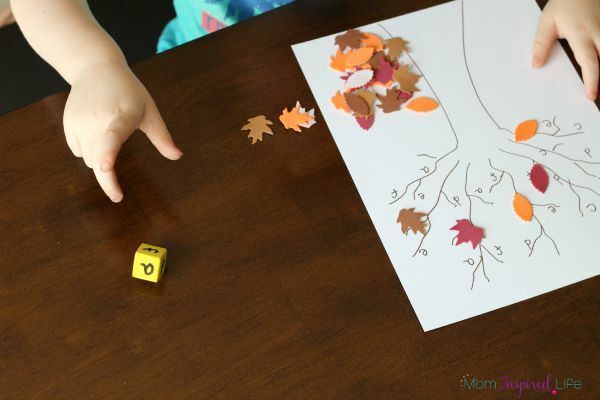 Instruct your child(ren) to roll the cube, identify the letter that is facing up and find one instance of that letter on the tree. 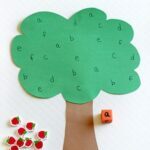 Once the child locates the letter on the tree, they will place a leaf sticker over the letter. 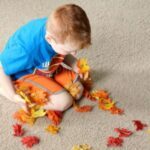 If you want two children to play together, you can assign each child a certain color leaf and they can take turns rolling the cube and covering the corresponding letter. The first time we played, Evan just laid the sticker over top of the letter on the tree. The second time we played, he wanted to stick the stickers to the tree. So that time, he peeled the backing off of the leaf and placed it over top of the corresponding letter on the tree. He really enjoyed this activity and, as stated above, he even played a second time in a row. I plan to make another tree so we can play again soon. 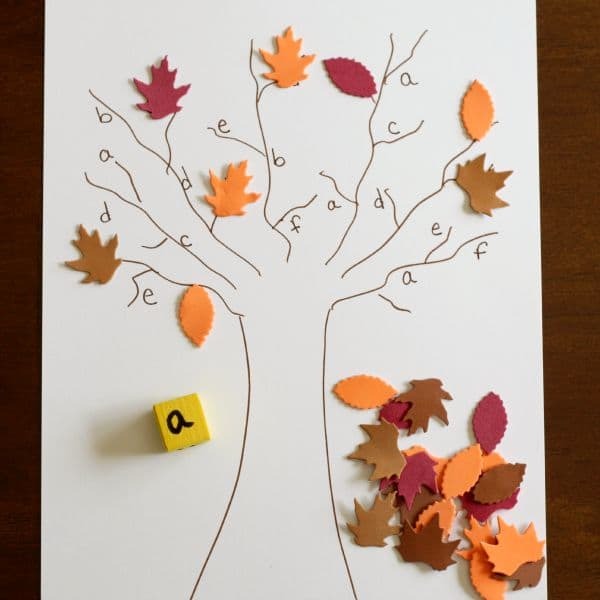 Thankfully, it only takes a minute or two to draw the tree and write letters on it, so we can easily play whenever the mood strikes!